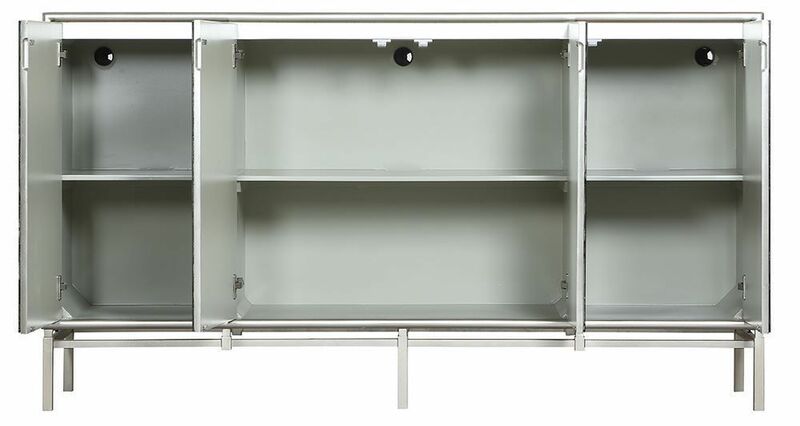 Modernize your home living space with the Silvermist Four Door Media Credenza! 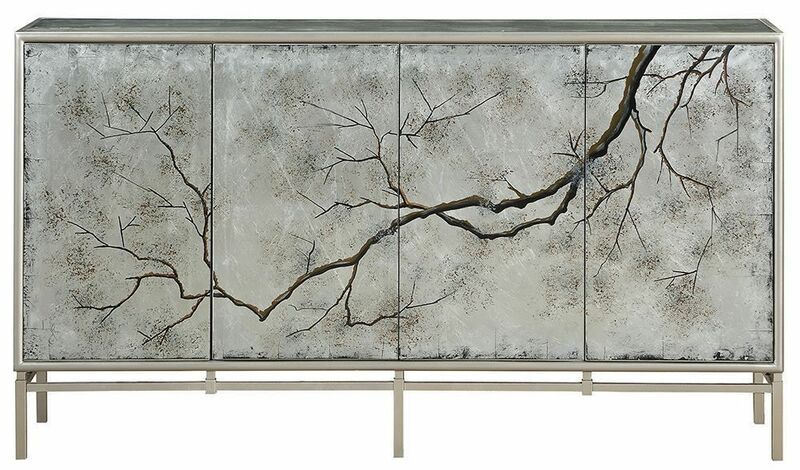 This beautiful piece is sure to make a statement in your home, featuring a silver leaf finish, reverse painted glass doors, and an incredible tree branch motif. Functional and beautiful as always, this credenza also features three adjustable shelves, cord management, and upgraded European hinges. 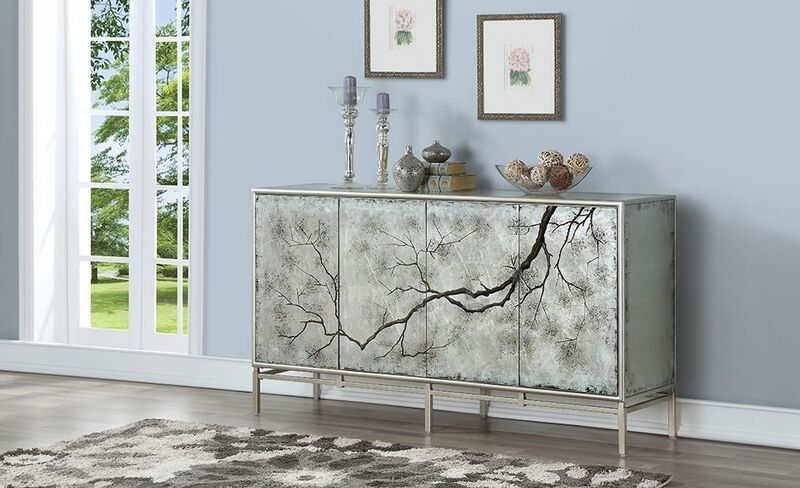 Bring home the Silvermist Four Door Media Credenza today! 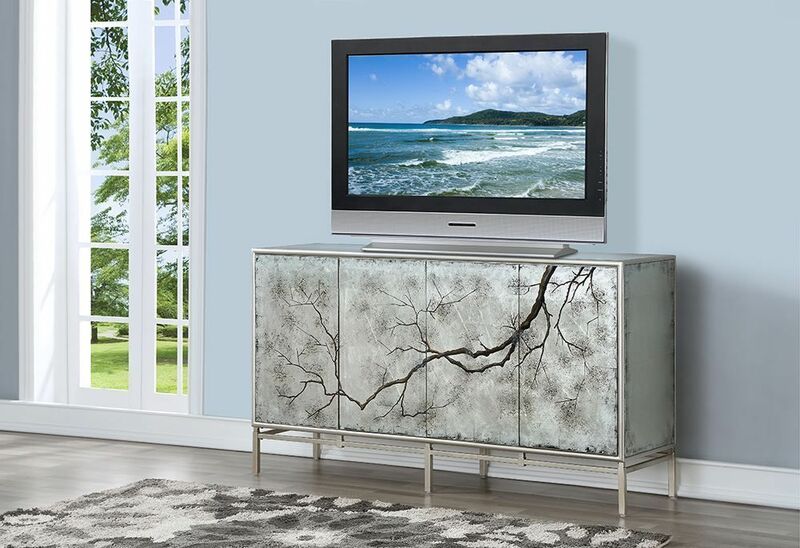 Modernize your home living space with the Silvermist Four Door Media Credenza!